Liverpool and Watford lock horns on Saturday evening’s Premier League clash? Who will claim the bragging rights at Anfield Road? Find here our Liverpool vs Watford betting preview with predictions, expert tips, starting lineups, team news, best odds, bookie free bets and no deposit bonuses on this weekend's matches! Liverpool fell to a disappointing 2-1 defeat at the hands of Manchester United in their last game but remain 4th in the Premier League table, with a 4 points margin over 5th-placed Chelsea. 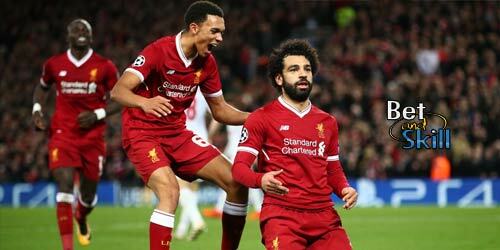 Prior to that, the Reds secured their qualification to the Champions League quarter finals thanks to a goalless draw at Anfield Road against FC porto (the first leg in Portugal saw Jurgen Klopp's men win 5-0). After 15 league games at home, Liverpool are yet to lose, and they have won nine times. Watford are closing on on securing their Premier League status for another season. They sit 10th in the table, with a 9 points margin over Crystal Palace and Stoke City in 18th and only eight games remaining. The Hornets have a strong home record with 13 points earned in the last 5 outings at Vicarage Road but their away record is pretty poor. They put in a rather uninspiring performance against Arsenal as they were hammered 3-0 at Emirates last weekend. The Hornets have lost 7 of their last 8 away matches in Premier League and failed to scored in the last 4 on the travel. Coral offer 40/1 Liverpool to win vs Watford in Premier League + £5 free bet! We provide the highest prices available on the winner market. Find below the best odds on the Liverpool vs Watford match winner market! Don't miss our football prediction for today! You can also Follow us on Twitter!! The following tips are recommended by our professional punters team! Feel free to copy our free predictions on Liverpool vs Watford! You can combine them all in a multiple bet via a request a bet service. Take also a look at our bookmakers' odds comparison table and today's enhanced odds sections! "Liverpool vs Watford predictions, betting tips, lineups and odds (Premier League - 17.3.2018)"